A-1 Concrete Leveling Northern Virginia provides a cost effective mudjacking and concrete leveling option to repair your supporting slabs, including HVAC/Utility Pads, Mailboxes, Chimneys and more without removing and replacing them. Uneven or tilting HVAC or Utility pads can cause strain on electrical and plumbing connections from your units to your house. They can also be areas where water pools and makes its way into your basement. 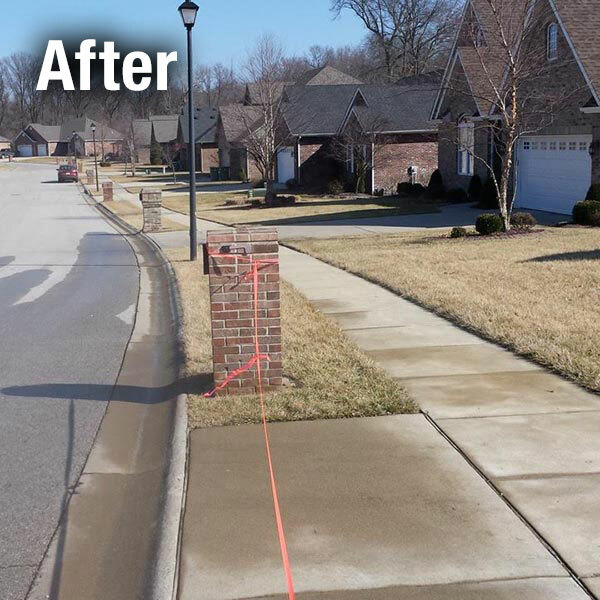 Our concrete leveling process can lift your pads into alignment with minimal impact on any landscaping around, and in most cases without having to rewire or re-plumb the connections. 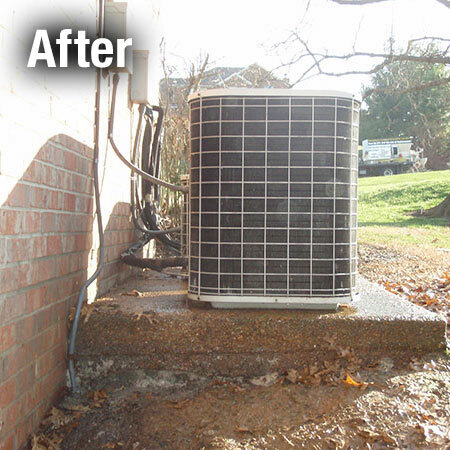 Our HVAC/Utility Pad repair and leveling process can safely lift your pad into its original, level position. Our patented process enables us to provide an efficient and quick repair to a problem that would otherwise need significant work to remove the old pads and re-pour with new concrete. 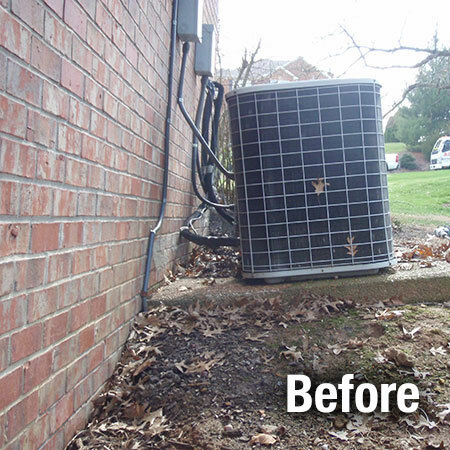 We offer HVAC/Utility Pad repair in the Northern Virginia area, serving the greater Washington DC area, including the counties of Fairfax, Arlington, Loudoun, Prince William, Stafford, Faquier and surrounding communities. Utility pads can often times be leveled without the need to remove any equipment. 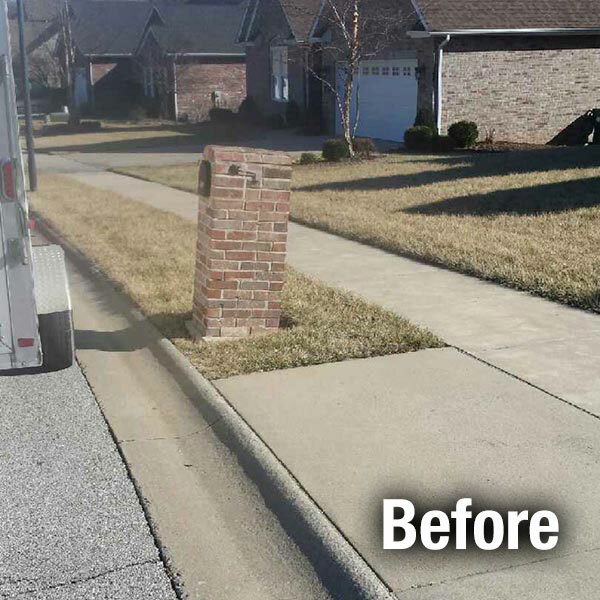 Structures like brick mailboxes, or chimneys, can oftentimes be straightened and leveled using our pumping process.